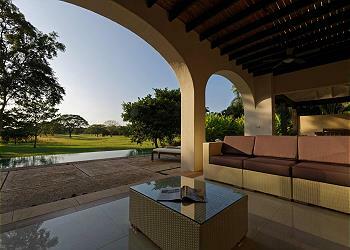 Villa Los Venados, in Hacienda Pinilla’s Los Almendros community, is an elite vacation rental villa designed to offer luxury and privacy to up to 10 guests. 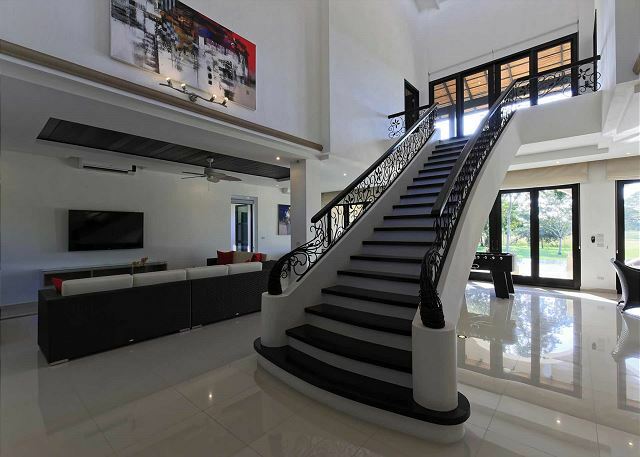 This 4-bedroom estate home embodies the elegance of purposeful simplicity. Set steps from the first hole of Hacienda Pinilla’s golf course, this spacious home invites guests to relax, breathe deeply, and appreciate the open spaces within the villa and those that surround it. 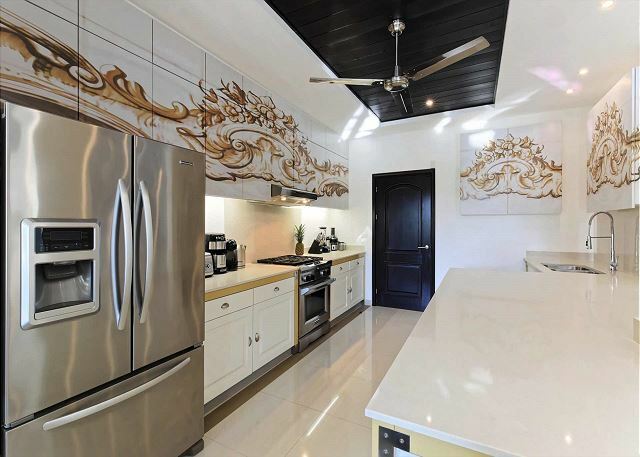 Modern design and decor combine the clean, crisp lines of stone, wood, cement, and bamboo into a fusion of European chic and tropical celebration. 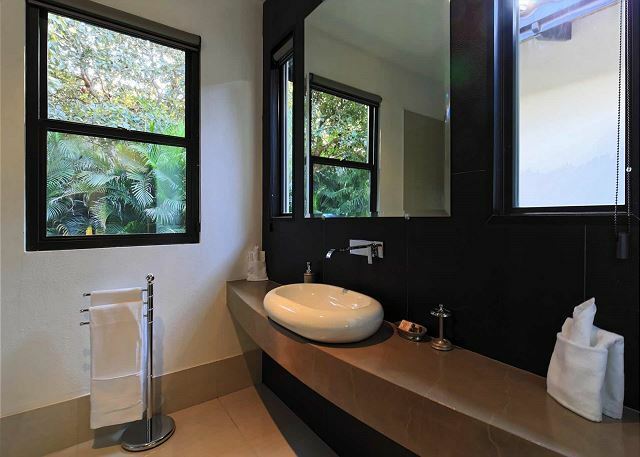 On the ground floor of Villa Los Venados, an open living/dining area adjoins a generously-sized modern kitchen on one side and two spacious bedrooms on the other. 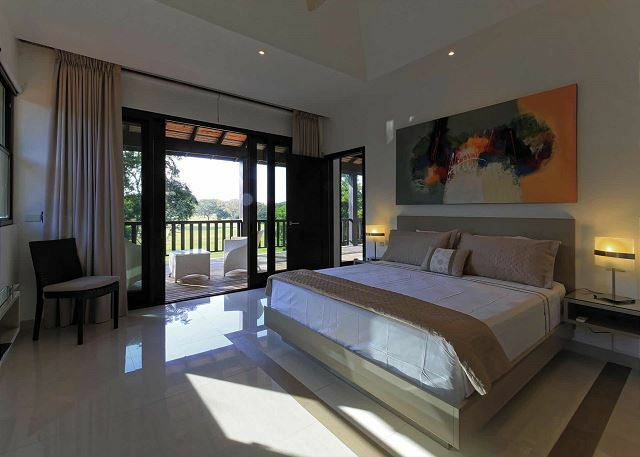 Two master suites comprise the entire second level of the villa. 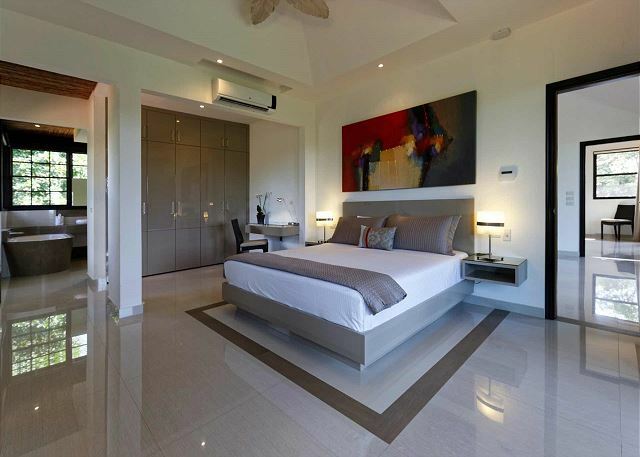 Outside, below the pristine terrace which offers a second outdoor living area, a private infinity pool and Jacuzzi await. 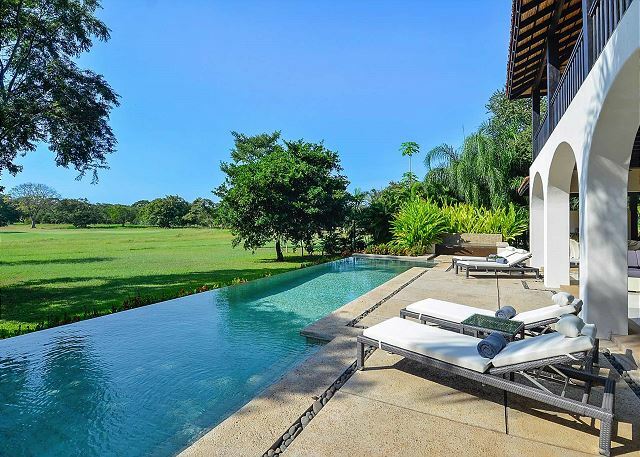 Hacienda Pinilla, located 15 minutes south of the famous Tamarindo Beach, is dedicated to preserving the rustic beauty of Guanacaste. 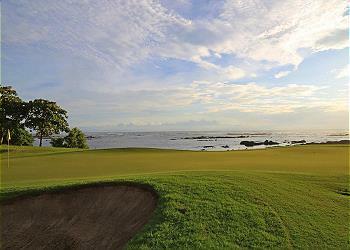 The Hacienda spans 3 miles of pristine coastline and covers an area of 4500 acres. 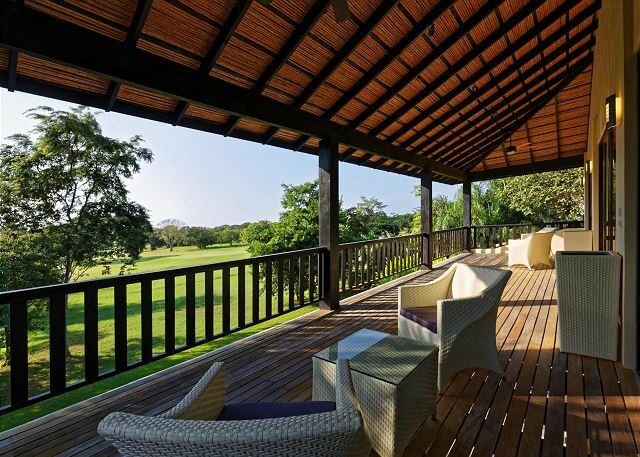 Its circumference embraces Costa Rica’s premier private residential community, a spectacular golf course, and a working cattle ranch. Miles of beach and inland trails can be explored by hiking, mountain biking, or on horseback. Unforgettable waves break directly in front of the Hacienda’s private beach clubhouse, and many other spots along the endless coast. 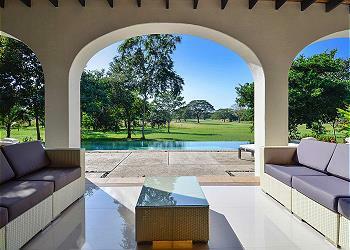 A 5-star JW Marriott within Hacienda Pinilla offers guests a variety of options in fine dining and relaxation. House was just as it looked in the photo. Clean with more than mouth space. We were 6 and it could have held 6 more. Miriam greeted us at the house and stayed in contact throughout our stay. She made arrangements for executions and gave great recommendations. I recommend renting a gold cart to get around the main property and to use the Beach Club and Marriott facilities. They are not really walking distance. Peaceful environment wth nature all around. Thank you Yolan, It's great to know you had a really nice vacation at Villa Venados. We feel proud to know we help you with great recommendations and assist you in organizing excursions during your stay. 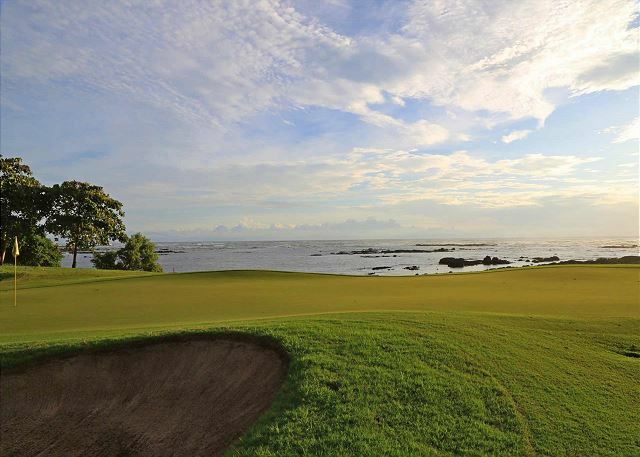 It's so true that Hacienda Pinilla offers a very peaceful environment with beautiful surroundings and renting a golf cart makes moving inside the complex much easier. Once again, thank you for staying with us. We really hope you can make it again something soon. Pura Vida!! lots of monkeys visit daily and we saw deer and mountain lion running across the course. Thank you Gaston. 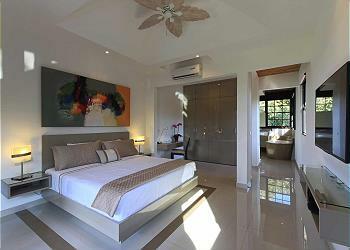 Its great to hear you loved the house and found it well designed, maintained, spacious and comfortable for your family. Im happy to hear how lucky you were to see deer and a mountain lion, that's pretty exceptional and we are so glad you were able to see all this wild animals during your stay :) Thank you again for staying with us and hope to see you all back very soon! 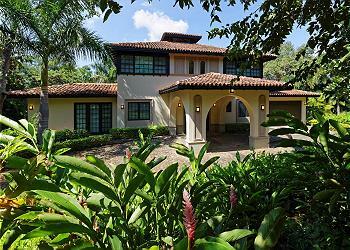 Beautiful modern vacation home located on the 1st hole of the golf course. 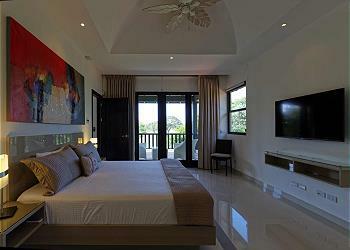 House has 4 large bedrooms with king beds perfect for 4 couples or large group. Monkeys,iguana's and birds can be spotted from your deck. 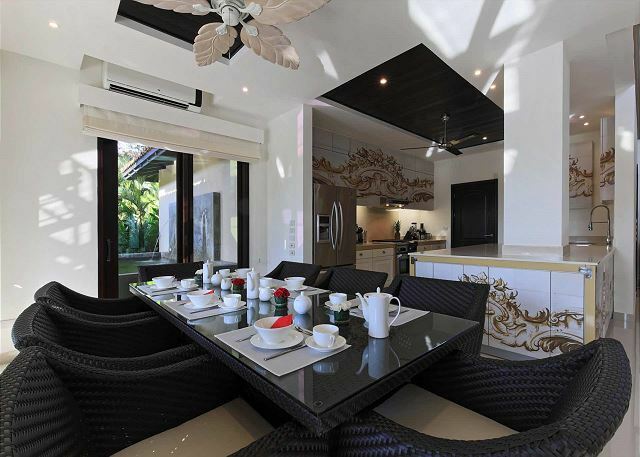 Pool and patio area are great for lounging and dining. If you are looking to do some golfing and relaxing with friends or family this is a great spot. Cristina and Adriana were very helpful in arranging shuttles and rental cars. One of the air conditioning units broke during our visit and was fixed the next day. Hi Bob! Happy to hear you enjoyed the house and that you were able to see all the wild animals right by the deck. We were glad to assisted you during your stay and we hope you can come back very soon. Pura Vida!! Were a few days in peace, in private and enjoying nature in a warm and family atmosphere. Fernando, Nothing makes us happier than happy guests! Glad you that you and your family enjoyed the nature and the peaceful surroundings. Thank you again for staying with us! We had a great time at Villa Los Venados, the house has everything you need, and is beautiful, spacious and neat, it all seems brand new. We were 8 people, perfectly comfortable. The pool has a nice size and it was just the right depth for our 5 year olds. The assistance is also a plus, they are always concerned and confirming you have everything you need. Thank you Silvia. 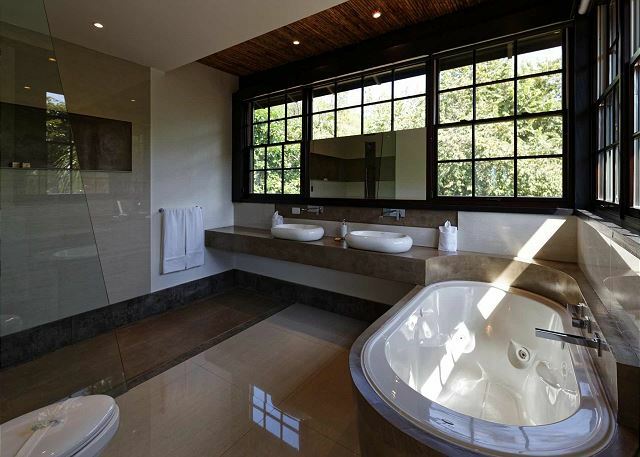 Im glad that you had a great time and enjoyed your stay in Villa Los Venados, its true is not only a beautiful house but also super comfortable. Good to know your kids had a good time and enjoyed the pool to the maximum. Thanks again for staying with us, it was our pleasure to assist you. We look forward to welcoming you back very soon! The house and grounds were beautiful. Our only complaints were the acoustics, it was hard to hear because of the echo, and the furniture. The beds were comfortable but the rest of the furniture was not. The house was furnished inside with outdoor furniture which is comfortable for only short periods of time. All in all it fit our needs as it was close to where our family was. 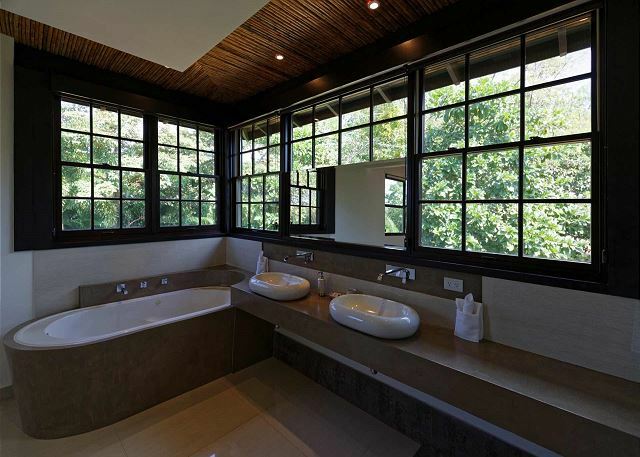 Sharon, we are happy that you like the house and grounds, it is true it has a beautiful location and surroundings. We really appreciate your feedback and wont pass unnoticed. Hope you enjoyed your time with your family and also hope to have you back very soon! The house was lovely ! very open spaces inside and outside , the only thing that the house needed was more pool towels ...The master bedroom to the left side of the house up stairs has no hot water in the shower, but the jacuzzi does... Apart from that , everything was GREAT! Thank you Ernesto! We are very happy to know you enjoyed your stay in this beautiful home! We are more than happy to provide with extra towels and any items needed upon request, we give our guests a welcome package that includes all of our contact information in case they need anything. Thank you for letting us know about the shower upstairs, we'll make sure to check on that. Thank you again for staying with us! Pura vida! Villa Venados was a perfect choice for me and my family, the house is spotless and very modern, we also loved the Beach Club / fitness center at Pinilla. The management staff was great and helped us book transportation and tours which were all top notch, we're already planning our stay for next year! Thank you Melani! Agreed! Villa Venados is such a beautiful home, everything looks like brand new :-) We're happy to know everything went great with the transportation services and tours we booked for you, Cris our concierge really is the best! Thank you again for staying with us! Pura vida! 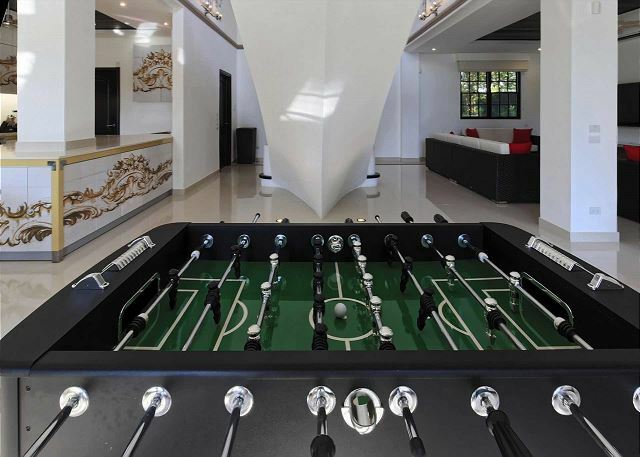 I stayed in Villa Venados with a group of friends and had a perfect stay. The house was immaculate, felt like a brand new home! The property manager took really good care of us and helped us coordinate chef services and a great all-day adventure tour, they also gave us great restaurant recommendations. I could not have envisioned a better trip, I'm very much looking forward to my next visit!